There is no denying how much I love a good statement necklace. Anytime I go shopping to treat myself they are one of the first pieces I look for. Sparkly stones and pretty colors, what's not to love? They are one of the easiest ways to dress up an outfit and make a look feel special. BaubleBar is one of my newest obsessions for beautiful statement pieces that are #stylishforless. Below are my current favorites from BaubleBar including the Teal Marquise Bloom. Also, how pretty is this sparkly number? I love teal necklace at the bottom! It's gorgeous and I've been eyeing it too! Wow - these are all gorgeous and so affordable! I can't even pick a favorite one, I just want them all. I think the yellow one and the teal are my favorites! I'm always surprised at how affordable their jewelry is! what great prices! i love the sparkles! 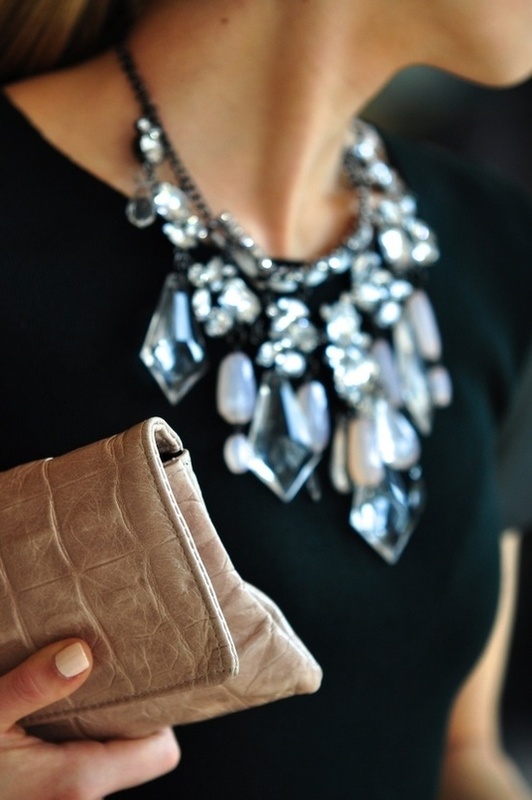 I love necklace num 3 ;) So chic! Love the bottom two the most but all are very pretty! These are gorgeous! I love the teal necklace. That lemon bloom one is so pretty and such a great price! I love the teal necklace! I'm currently on the lookout for new statement necklaces, but since I just finished fixing one of my great-great-aunt's old necklaces that's a real stunner, I think I can hold on and try making a different sort of statement...for now.